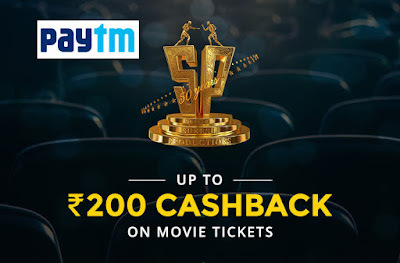 Paytm Movie Offer on Suresh Production Cinemas, Use Promo Code- 'SP200' To Get Rs 200 Cashback. 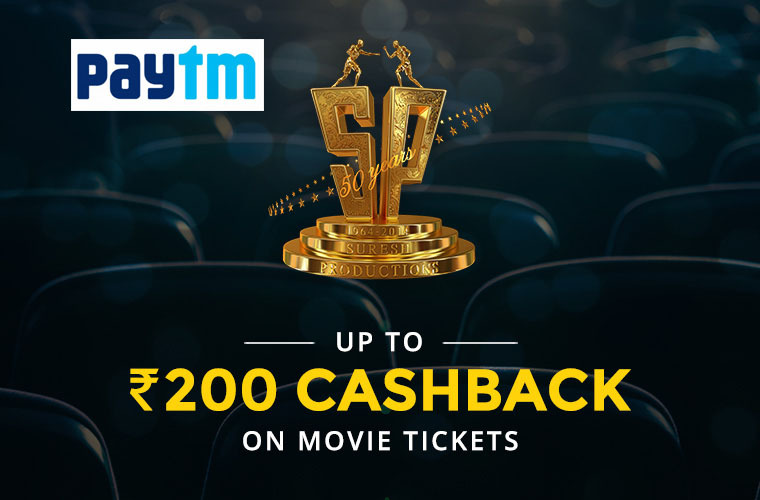 Use this promo code SP200 to get 15% Cashback upto Rs 200 on movie ticket price. The maximum Cashback amount is Rs 200 that user can be get. This promo code is applicable only on Suresh Production cinemas. This offer is only valid for booking movie tickets on Paytm App and paytm.com. The offer is applicable on a minimum booking of 2 ticket. Offer can be used two times per user during the offer period. The offer is not applicable on that cinemas which accept Advance tokens only. Cashback will be credited to Customer's Paytm wallet within 24 hours.